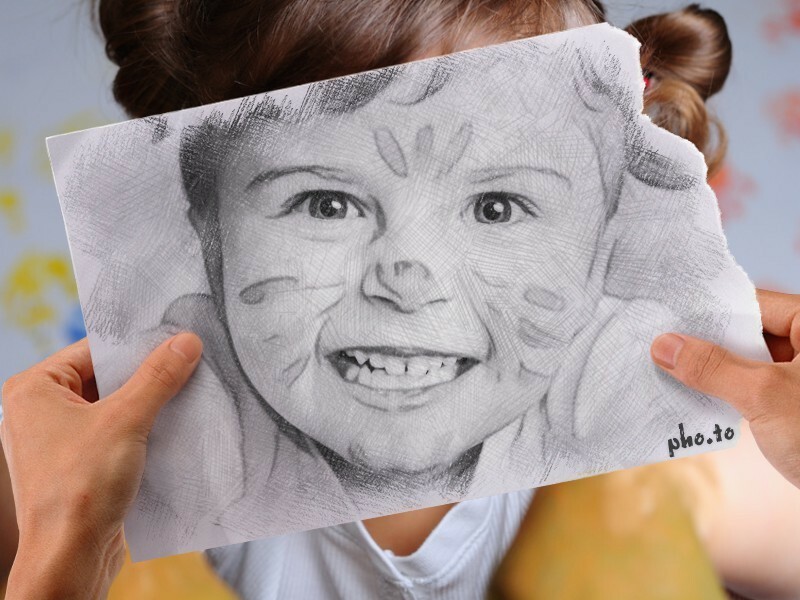 Pencil vs Camera effect is designed for all trendy people and fans of true art! 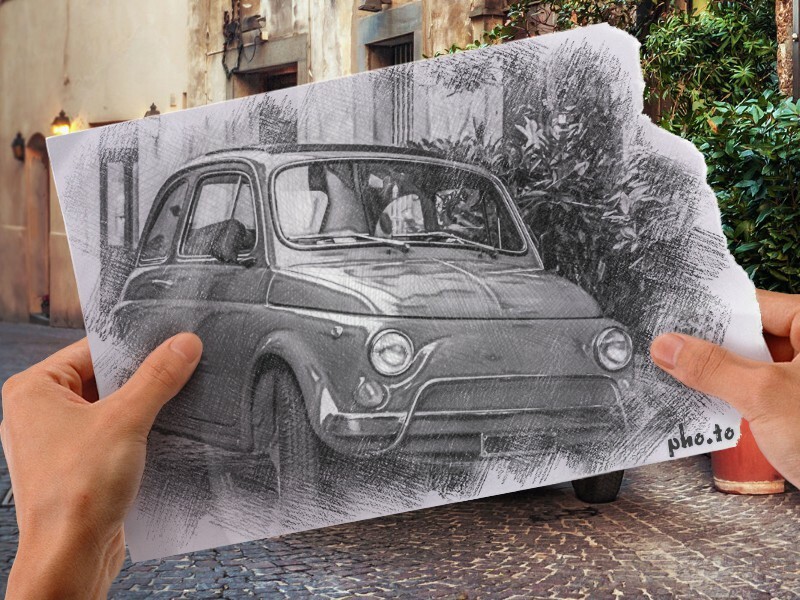 Use it to convert your photo into an unusual sketch which looks like one of spiffy Ben Heine’s blendings. Are you a fan of Ben Heine’s blendings? Everybody on the Internet speaks about his artistic project called pencil vs camera (or pencil vs reality, drawing vs photography, etc). 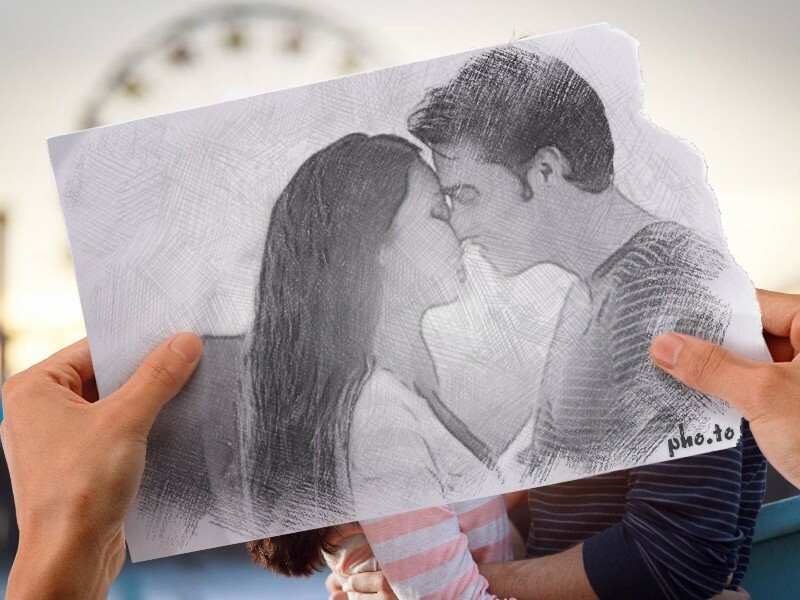 This sketch effect lets you design a picture in the Ben Heine style without Photoshop or any artistic skills. 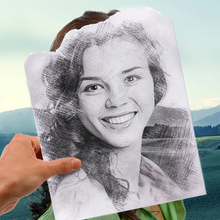 Just upload your pic to our photo to sketch converter and let it do all the work! The ‘Pencil vs Camera’ effect looks good with landscapes and portrait photos. Besides, car owners on Instagram got inspired by this effect and started a brand new trend under the #carvsreality hashtag. As it turned out, pics with off-roaders, luxury cars like Ford, Audi and even motorbikes look really cool with this effect applied. Be sure to check another artistic effect of this series called 'Photography in Drawing'.